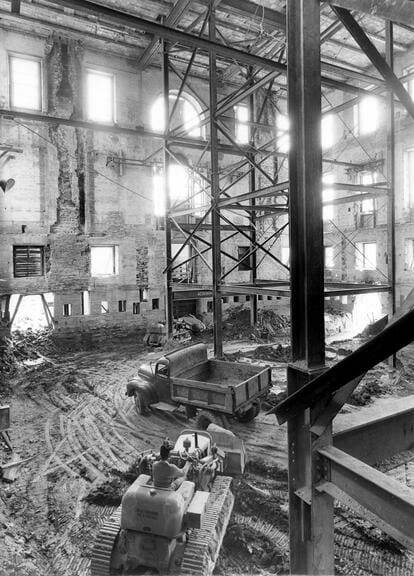 This is actually the inside of the White House during the Truman Administration. I had realized it was "renovated", but I think I pictured something less dramatic. It appears the place was totally gutted.